This RC receiver unit is designed for ASF 2.4G transmitters and RF unit (901/902SM/EX-1/EX-6). This receiver supports KOYSHO / KO PROPO 2.4G ASF protocol and it offers full 4-channel support in a micro size. 4 channel support (automatically adapt to 2ch, 3ch and 4ch mode). High performance CPU enhance precision control feeling. Ultra response mode [KO PROPO] support. Micro size (25.5mm x 15mm x 5mm). Ideal for any micro rc racing chassis. 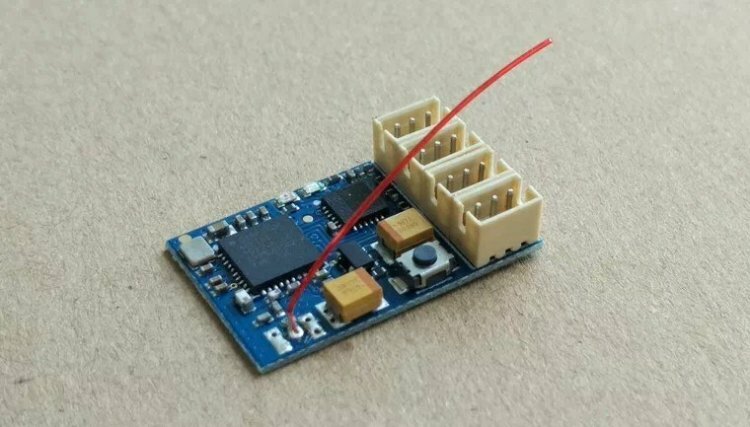 Operating Voltage 3.5V – 5.5V. Simply enter your details below and we will send you an e-mail when “ASF system 2.4ghz Reciver 4 Mini channel” is back in stock!